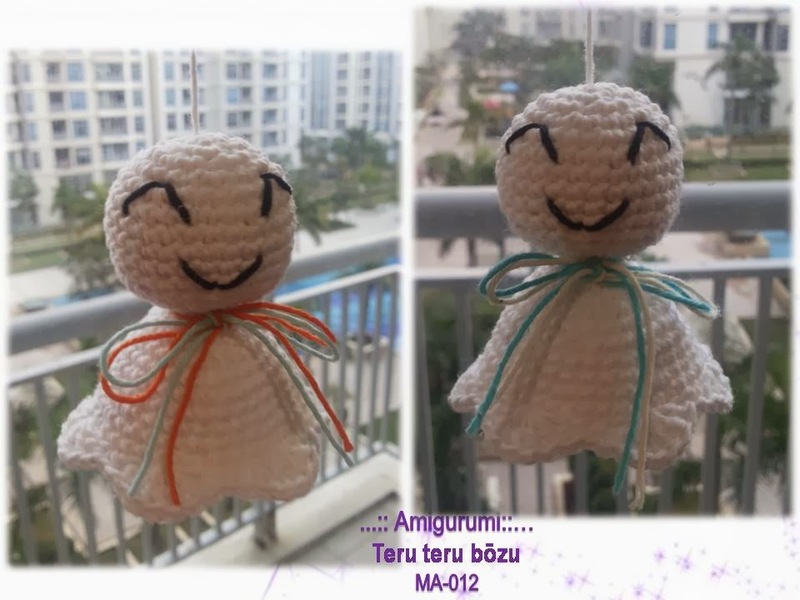 Teru teru bōzu (Japanese : 照る照る坊主、てるてる坊主 literally "shine shine monk") is a little traditional handmade doll made of white paper or cloth that hanging outside of their window by a string. The shape is similar or essentially identical to a stuffed doll like a ghost made ​​on Halloween. This amulet is supposed to have magical powers to bring good weather and to stop or prevent a rainy day. "Teru" is a Japanese verb which describes sunshine, and a "bōzu" is a Buddhist monk, or in modern slang, "bald-headed"; it is also a term of endearment for addressing little boys. Teru teru bōzu became popular during the Edo Period (the period between 1603 and 1867) among urban dwellers,. Usually Children make the Teru teru bōzu just before the school picnic day. They are praying for the good weather "Fine-weather priest, please let the weather be good tomorrow."